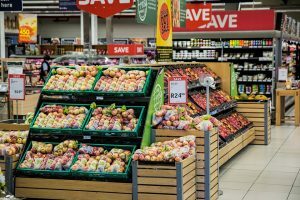 New Jersey Supermarket Accident Lawyer | Tomes & Hanratty P.C. Supermarkets are riddled with hazards that can cause us serious injury while we grocery shop. We hope that the store owner and staff will monitor the aisles we frequent and rectify any dangerous issues. We hope they will take every precaution to ensure our safety. Unfortunately, supermarkets are not always up to par with a reasonable standard of care. As we navigate our local grocery store, we are at risk for serious injuries, including bone fractures, concussions, spinal cord damage, and more. Some of the many hazards we face in supermarkets include unattended spills, outdoor elements, loose produce, conditions in the parking lot, falling objects, and neglected items and debris. If you can prove that the supermarket staff or owner knew or should have known about the condition that left you injured, you may be able to hold them accountable for your medical bills, lost income, legal fees, and more. In order to understand your rights, contact an attorney with experience. At Tomes & Hanratty, P.C., we have represented countless victims of supermarket accidents across the state and have a history of success in attaining compensation for their injuries. We understand the impact serious injury has on our clients. If you need our legal support, we are ready to serve. If you were injured in a supermarket, you should collect evidence. The first thing you should do is seek medical attention. When tending to your medical needs, a health care professional will document your injury and establish the place and time this accident occurred. Take pictures of what hurt you. The supermarket staff will fix the problem soon after it happens in order to ensure that it doesn’t happen to the next customer. If anyone saw the accident, collect their contact information to corroborate your claim if it becomes necessary. Why do all of this? In slip and fall accidents, the burden of proof lies on you. You will need to establish the negligence of the supermarket staff. If they had knowledge of the hazard or did not monitor their property properly, they may be considered negligent. If you were injured because of their wrongdoing or inaction, you could be compensated for the economic and non-economic impact on your life. Serious injuries can have a terrible effect on your life. You could face a lifetime of economic hurt from mounting medical bills and impacted employment. Tomes & Hanratty, P.C. has been a legal resource for the people of New Jersey for many years. We understand the impact serious injuries has on your future and will work tirelessly to see that you are compensated fairly. If you need a compassionate and effective attorney to guide you through your legal options, represent your needs and protect your future, contact Tomes & Hanratty, P.C. for an initial consultation.